Today you can win this awesome cuff! I have my own, and it literally goes with EVERYTHING! 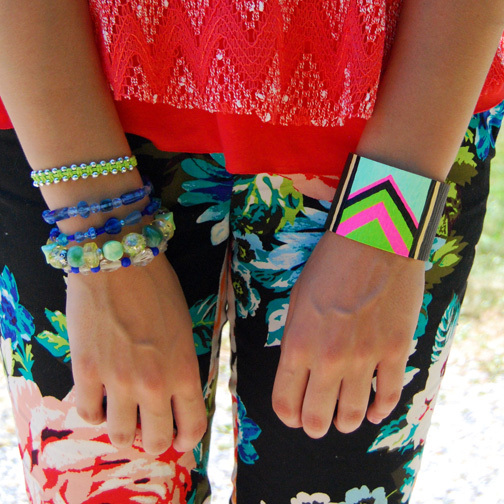 It's one of my favorite accessories because it's bold and bright! Speaking of bold and bright... how much color is TOO much color? I feel like this outfit is borderline outrageous (as in TOO MUCH color!). 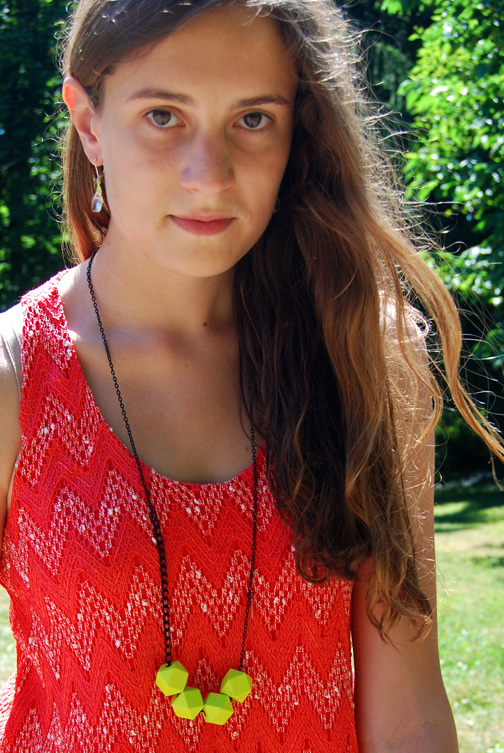 I'd also like to introduce you to one of my new favorite brands (who kindly sent me this coral top and some fun dresses that you'll see--soon). While they don't have a store you can purchase from directly (they're a wholesale brand), they have their clothing at a lot of places you've probably shopped at online! The brand is called YA Los Angeles, and as it's name suggests, it's located in the heart of the fashion district in downtown LA. Looking on their site, it was hard to find anything that I wouldn't wear! Wanna get some YA Los Angeles for yourself?Here's where you can get it:PiperlimeChloe Loves CharlieTobiTrois Femmes Boutiquesas well as stores like Nasty Gal and Lulu's (and more)!Just google them and you'll see loads of boutiques and stores with YA Los Angeles in stock! Ahh I tried those pants on at H&M too and they didn't look right on me but they look amaze on you! Super fun how you played with tons of different colors. Obsessed with that cuff. 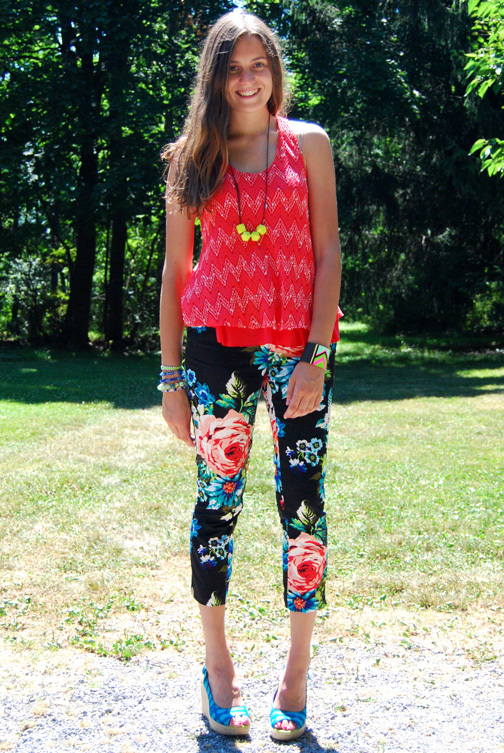 those floral print pants are so cute! your outfit it's so cute! I love the cuff!! super super love!!! haha there is never such a thing as too much color! (okay well sometimes) but you are definitely still looking awesome while wearing all this color, I LOVE IT! 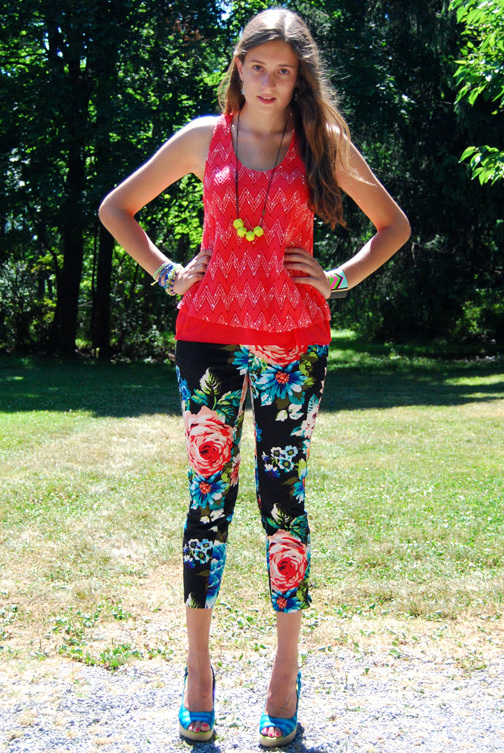 Your pants are super cool and I really like the like the red top with the bright yellow necklace :) And yay so many awesome giveaways. Love this outfit! I so need those pants!